This is just in! 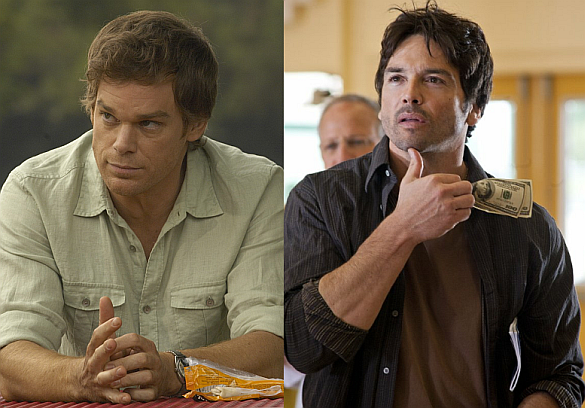 Via TVLine.com: Jason Gedrick, fresh off his role on HBO’s cut-short Luck, has bounced back with a multi-episode run on Showtime’s Dexter, the cabler announced on Tuesday. In Season 7 of the dark drama, premiering Sept. 30, Gedrick will play the manager of a Miami-area gentlemen’s club that becomes linked to a high-profile murder case. In addition to his turn as Lucky‘s Jerry, Gedrick’s recent TV credits include arcs on Necessary Roughness and Desperate Housewives and an appearance on Lie to Me, though he is best known for his roles on Boomtown and the ahead-of-its-time Murder One.